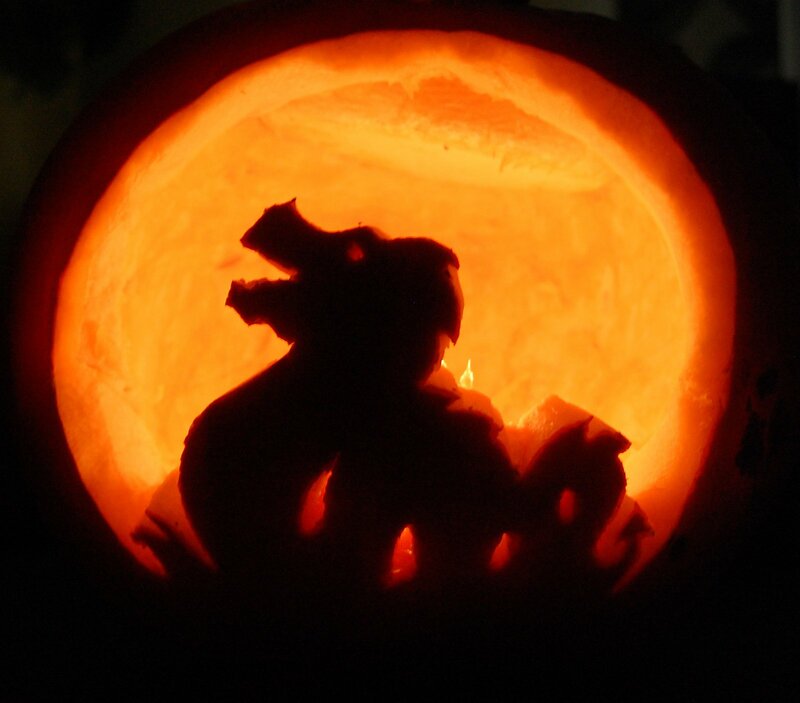 Carving a pumpkin is really quite simple and (dare I say it) quite satisfying to do. Here is how we do it in the Steenbergs household. Firstly, choose a decent sized pumpkin with a good area on the face for you to do the carving. A too small front face will be hard to carve and be fairly curved in shape. 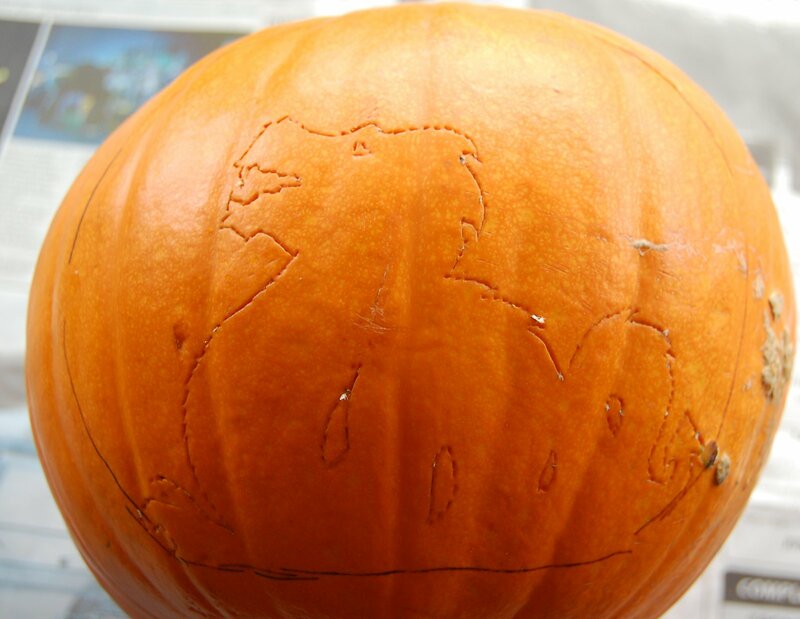 Next, either draw a pattern onto the pumpkin using a marker pen or get a stencil and attach this to the pumpkin, using either tape or drawing pins. You can download stencils from the web or buy them from good grocery stores - we bought a set of pumpkin carving safety knives from Booths in Ripon this year which came with some stencils. I then usually mark around the stencil using a pin or the end of a sharp knife to mark out the pattern. Put a read newspaper onto the table you are going to use as this makes tidying up much easier. 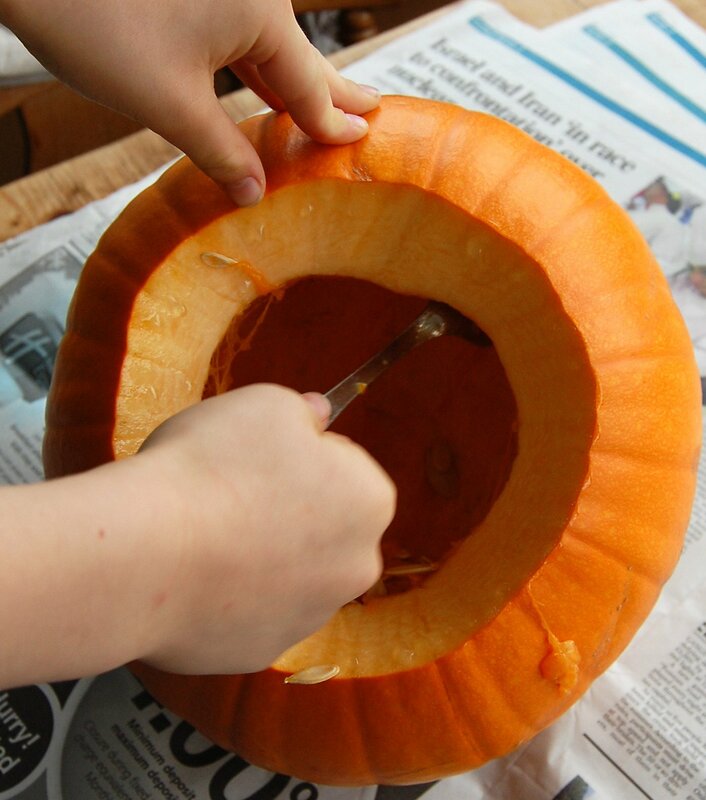 Now, using a knife cut a circle out of the top of the pumpkin and remove the top lid. Next, using a spoon and your hands scoop out all the seeds and the fibrous inner gunk. Carefully and patiently cut out the pattern that you have marked out or drawn on the front of the pumpkin using safety knives if you've got them. I use what looks like a slightly deadly array of pumpkin carving knives, sharp kitchen knives, metal skewers and bamboo skewers to cover all the possible bases while chopping away. The key thing is patience and perserverance. Sometimes you also need to put your hand inside the pumpkin to give it further support as you are carving away as in the past we have broken off the more delicate bits of teeth or broomsticks and then have had to do emergency repair work using wooden toothpicks to put pumpkin flesh back onto the pumpkin! As with all things in life, pratice makes perfect so every year you do it the better you will get.